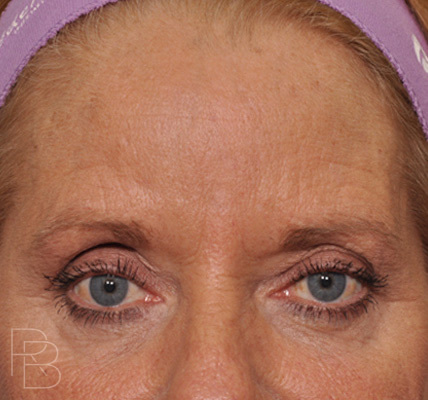 Although infrequently identified as a problem, the effects of aging take their toll on the brow and forehead. The decent of these tissues can lead to deep forehead creases and crowding of the eyes giving a tired and sometimes angry appearance. 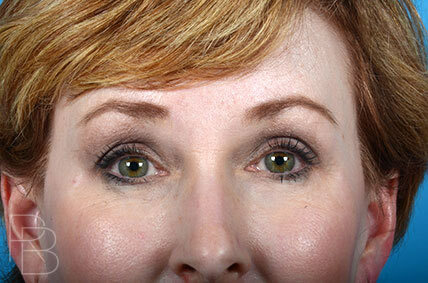 For women, this can make applying makeup to the upper eyelids a challenge. 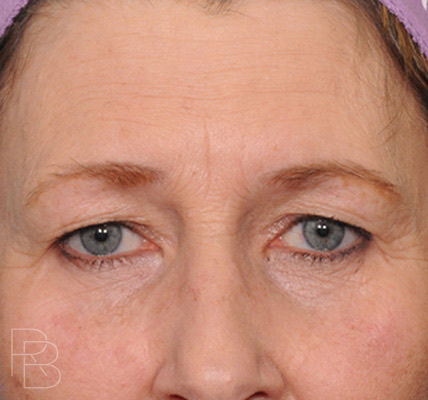 Although neurotoxins (Botox cosmetic and Dysport) can improve dynamic forehead creases and minimally lift portions of the brow, limitations exist. 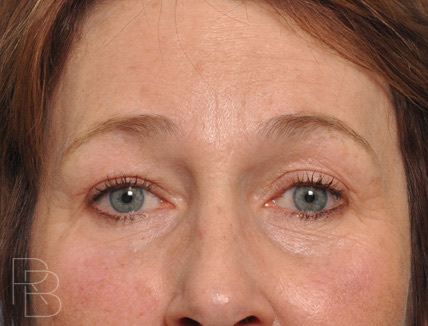 In these select patients, true forehead and brow rejuvenation can be achieved using modern endoscopic techniques without the telltale “surprised look” of overcorrection. Forehead surgery can be performed under local, sedation, or general anesthetic. 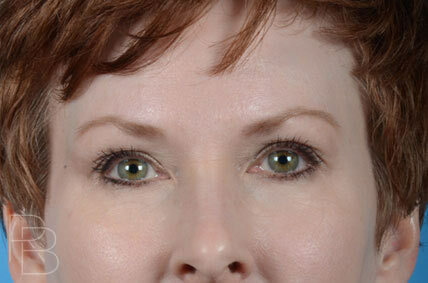 Several techniques are effective in improving brow position. In severe brow malposition with functional impairment, a direct method is occasionally utilized to open the eyes’ aperture and remove visual obstruction. 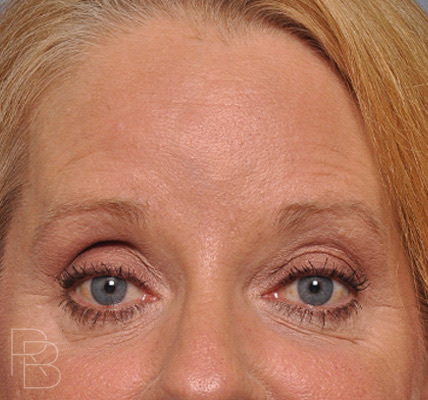 Alternatively, an endoscopic approach is utilized to correct a heavy brow using the most current techniques to create a natural position and shape. Through this approach, a few short vertical incisions are placed in the hairline and visible scars are avoided. Using an endoscope (camera) and fine long instruments the brow attachments are released and the muscles are treated to achieve the desired effect. 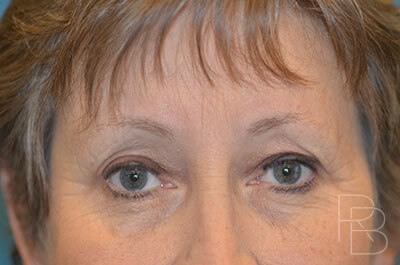 In patients with a high hairline, a modification is made to improve the position of the frontal hairline. Once the procedure is completed, the incisions are closed and a dressing is applied. After awakening from anesthesia and confirming your comfort you will be able to go home in the care of a responsible adult. The morning after the procedure, the dressing is removed and wound care is reviewed. Swelling is normal and responds well to a cool compress, head elevation, and light activity. A short period of tightness, headache, and nausea are common complaints, but are actively treated when necessary with medications. Temporary alterations in sensation can occur, but improve without intervention. After 1 week, all sutures have been removed and most bruising and swelling is gone from the upper face. With the exception of heavy lifting, normal activities can be restarted after 2 weeks. Hair coloring should be performed just before the operation or delayed for 6 weeks. Patients flying in for their operation should make arrangements to stay in-town for a week. 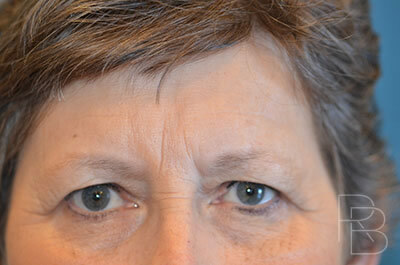 Swelling and the final brow position continue to improve during the first 3-4 weeks.